ICYMI, here’s how you can get my book, Confessions Of A Dumb, White Guy: Tales About Life, Love And The Risks Of Wearing White Thong Underwear. It’s officially on sale Shifetober 31st and a portion of my sales will go to the Idaho Veterans Network and the Utah Friends of Basset Hounds. 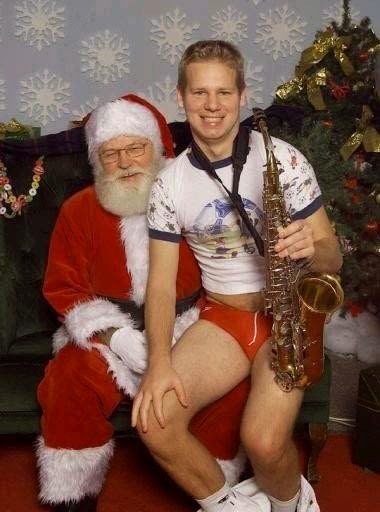 And here’s a picture of a dude telling Santa Claus what he wanted for Christmas for no reason at all. Worthy causes, Matt. Good for you. Got it... well, it's on it's way! A whole day to wait now... smiles.